Enrique Gil talks about being paired with Julia Montes and how they establish chemistry on the set. During the cast pictorial of Muling Buksan Ang Puso, Enrique Gil shared that his first taping day with onscreen partner Julia Montes was fun because they had the chance to trade love advice along with co-star Jane Oineza. It was their way of bonding with each other on the set in between takes. “Nakapag-heart-to-heart talk kami. Nag-hot seat kami just to get to know each other. Minsan ‘pag may heartbroken diyan, [yung advice na sinabi ko] huwag ka magpapaka-sad sa isang bagay kung sa tingin mo hindi worth it in in the long run. May choice ka eh whether maging happy or sad. Minsan kasi ang babae masyadong emotional, super hurt kaya nahihirapan mag move on. So para sa akin gusto mo ba yun na hindi ka masaya? 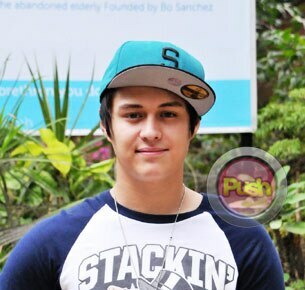 Kung may relationship ka dapat masaya ka lagi,” he said in a one-on-one interview with Push.com.ph.